The football world was recently rocked by the Pittsburgh Steelers trade of their long-time and record-holding wide receiver Antonio Brown to the Oakland Raiders last month. Brown, who had disagreements with the Steelers organization demanded a trade but was also vocal in where he wanted to end up. After forcing Pittsburgh’s hand in nixing a potential trade deal with the Buffalo Bills, AB was sent to the Raiders for Oakland’s third and fifth round draft picks. As part of the deal, the Raiders also reworked Brown’s contract to pay him more guaranteed money; something that was also instrumental in the paperwork. However, it also appears there was something else going on with “Mr. Big Check’s” power play. That something surfaced last week when the Raiders added former Steelers backup quarterback Landry Jones to their roster. 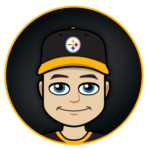 In reports obtained by Steel City Underground, it appears that Antonio Brown truly meant what he said by Ben Roethlisberger “not being a leader” and put his money where his mouth is in helping Jones get signed to the Raiders. For those on the outside looking in, the move appeared to be a bizarre one. The Raiders already had three quarterbacks on their roster: well-paid starter Derek Carr, young journeyman prospect Nathan Peterman and recently acquired veteran Mike Glennon. Peterman was added due to his ties with Raiders head coach Jon Gruden. Glennon was a surprise addition as the Raiders are potentially linked to using one of their high draft picks on a quarterback in the upcoming NFL Draft, but the Jones signing really shocked some, as Jones was missing from an NFL roster for most of the 2018 season and also since the Raiders appear to already have depth and developmental talent on the roster. But there’s more to it. According to the report, Antonio Brown attempted to get several of his other friends to come to Oakland with him as a package deal. One of those friends is his former Steelers teammate Landry Jones. As Brown continues to bash former teammates, including the Steelers franchise record holder for most passing stats in Ben Roethlisberger, the receiver has had no ill words toward Big Ben’s backup Jones. In fact, we’ve heard whispers that Brown was adamant that Landry was a better leader both on the field and in the locker room than Roethlisberger and that is what ultimately led to the Raiders contract. The timing isn’t all that surprising as more speculation surfaced that the Raiders were looking to shop Derek Carr. If they were to trade Carr, they would need a capable starter, even if they were to take one of the top QBs in the draft. Brown’s praise of Jones gives the Raiders confidence to move forward toward rebuilding their franchise in ways that Glennon and Peterman cannot. In fact, statistics further support these rumors as Brown had his most success outside of playing with Roethlisberger while Landry Jones was under center. 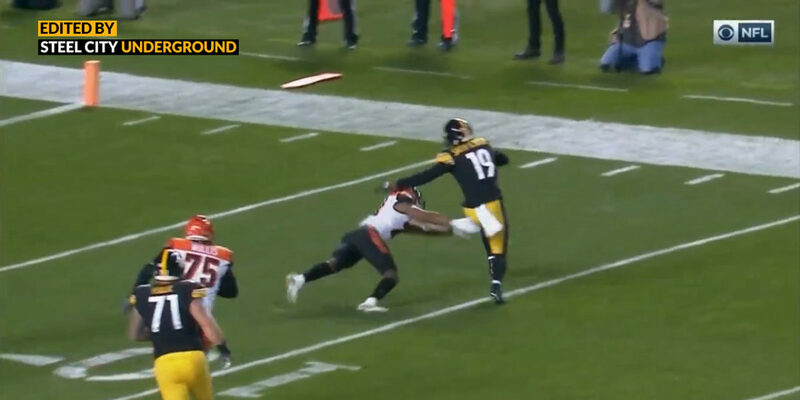 The All-Pro receiver struggled mightily with other Steelers passers such as Byron Leftwich, Charlie Batch, and Michael Vick before clicking instantly with Jones. That chemistry helped Brown to his best numbers on the field, even surpassing some milestones he set with Roethlisberger. Those two [Brown and Jones] were always tight. Their lockers were close to each other so you could always see it. Only time I ever saw them fight was that time AB went on Facebook Live and he almost caught Landry naked on camera. [Laughing.] After [AB] shut it off, they hugged it out. That’s how close they were. Brown hugged that naked man and apologized because he didn’t want to ruin a friendship. That guy worked his tail off and for what? I know it ticked a few of us off when they drafted Josh [Dobbs] and I heard more of it after they took Mason Rudolph. Landry was the kind of guy who would never complain about it but AB was always looking to get paid and help others get that payday too. I know he was hurt when they released Landry. It was probably the final straw in why he wanted traded. 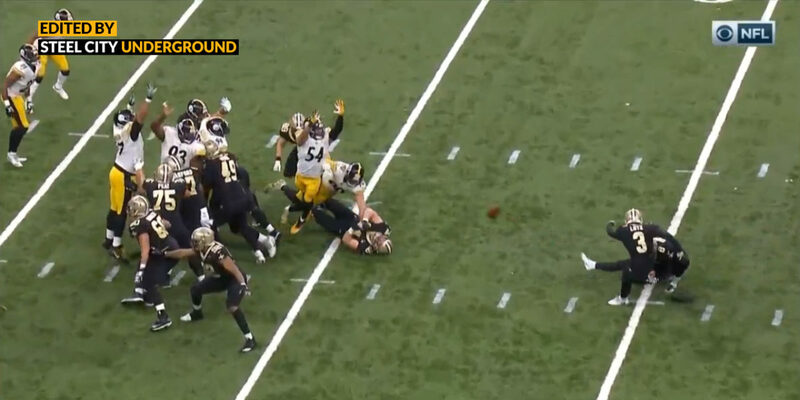 I KNEW Joe had to be coming out with a April Fools article that included the one & only, great, the magnificent, the indomitable spirit that is one Landry Jones! Well played Joe!